An ankle support is a gadget that is placed around and fixed firmly to an ankle, providing it with extra support in order to prevent injury and aid rehabilitation. Ankles support in India are perfect for supporting the ankle during recovery from an injury or surgical procedure. It also helps to reduce the risk of re-spraining an already sprained ankle. People are using Ankle supports in intense exercises like aerobics involves really swift and repetitive movements that can often cause injury to your ankle. Ankle splints are becoming extremely popular in all kinds of sports today as they safeguard from unwanted injuries and sprains. It provides an additional level of firmness for those with extra stability requirements. An ankle splint usually comprises of a small sleeve in which the foot can be placed that extends from the middle of the foot to the lower calf. By surrounding the ankle with straps, taught fabric, and plastic, it also decreases the chance that the ankle joint will roll and hyper-extend too far to one side or the other, lessening the chance of sprains. 1. Ankle supports are simple to use and can match to almost any person, irrespective of foot kind or dimensions. 2. They can give tremendous support to stabilize and alleviate the ankle. An excellent splint will snug and reduce the inward rolling of the ankle. 3. 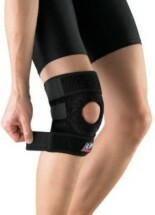 The reward of a brilliant ankle support is the fast protection in budgeted price. 4. To stay away from these ankle twists, many players decide to defend by themselves with safe ankle splint to stabilize their ankles with effective and supportive sport tape. 1. Tynor Ankle Support (Neoprene) J 12:- This Ankle Support is crafted from strong flexible webbing & Velcro to support, immobilize & constrict the ankle. 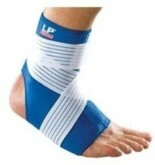 It is ideal for use when there is small amount of swelling and discomfort due to twist or sprain on ankle. 2. 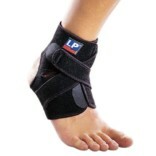 LP Ankle Support 944:- This four way stretch support gives firm compression over the Ankle. It helps in the avoidance and recovery of stress injuries and also aid of arthritic pain. This is one of the best choices to support and firming weak ankle joint. 3. LP Ankle Support W/Strays 728:- This removable surgical elastic strap allows adjustable compression and support for ankle joint and ligaments. 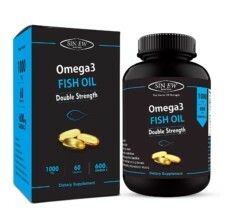 It helps in preventing ankle strain and reduces swelling and stiffness around ankle. In rigorous workout or sports that involve continuous running, a major stress is on the ankles which demands for a support. Ankle support prevents injury and provides excellent support for sprained, strained or weakened ankles. These supports are durable and comfortable in nature with lightweight. These are made of breathable and soft materials which make it ideal for wearing for long duration. It provides relief from pain, and stabilizes and tightens up the kneecap mechanism for added support and elevation that’s why they are highly recommended by medical practitioners and professionals.